New Orleans is definitely a food-lover's mecca. There are restaurants opening every week, so it is always hard to try them all. Sadly, some shutter before I even get a chance to eat there. The restaurant is in the former Halpern's Furniture. The renovation brings a stylish yet rustic flair to the decor. Lula is Louisiana's first restaurant-distillery. Now open 7 days per week for lunch and dinner, you'll be able to enjoy a full menu with in-house made vodka, rum and gin. 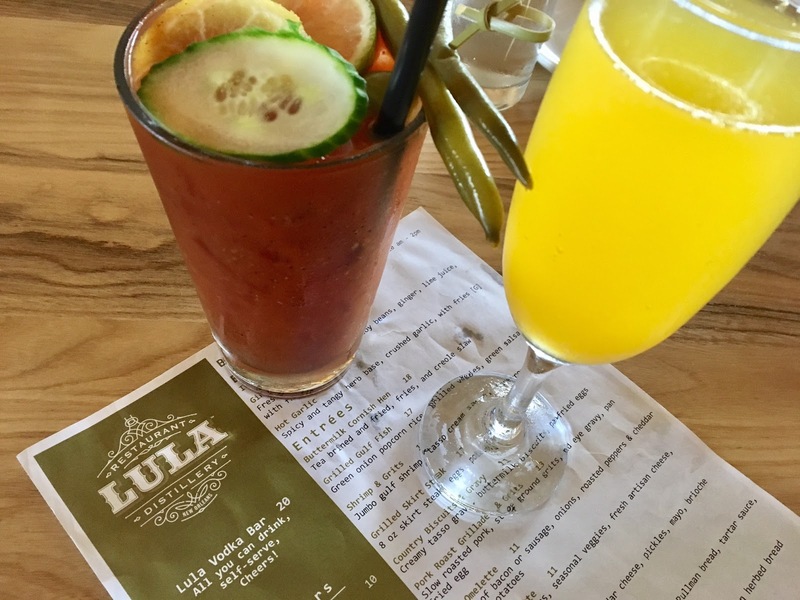 Lula is also open for Brunch from 9:00 am - 3:00 pm on Saturdays and Sundays. Check out HERE for more on the history of LuLa. I enjoyed my first experience; J enjoyed his second. And yes! You must partake in an order of boudin eggrolls or two. Delicious! Ron, You are so right about the food in New Orleans! I told Steve the other day I would love to go there for a weekend just for the fabulous Cajun restaurants. Hi Ron- it looks like a good one and I like the way the interior looks too. We have some newer ones that are closing already. I heard the a lot of restaurants fail within the first six months. Love the interior and I bet the food is fabulous. Glad you could enjoy.